“For us, Hungary comes first,” Prime Minister Viktor Orbán said in a keynote speech assessing his government’s performance since it entered power in 2010. “The past eight years have been a success, and better than we expected”, Orbán said at the event held at Budapest’s Várkert Bazár on Sunday. 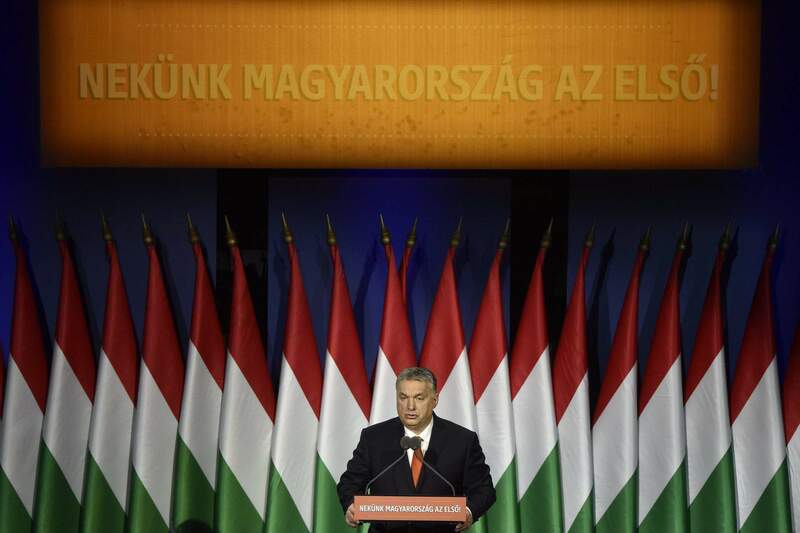 “We are perhaps ahead of where we expected to be.” He added that his Fidesz government had promised to create 1 million jobs in 10 years, and by now 736,000 new jobs had been forged. The prime minister also made note of the agreement to raise wages and cut taxes. Speaking ahead of the April general election, Orbán also noted that pensioners had received an extra payment at Christmas time. “Taking into account the errors, too, I think the past eight years are not only presentable but we can be proud of many achievements,” Orbán said, adding that he wished Hungary another “eight years that are not worse”. He said the country looked better than it did eight years ago but he added: “We have not yet finished our work; there’s still plenty left to do”. Orbán insisted that the country was now performing better, but not yet as well as its talents would warrant. “The Hungarian model is working,” Orbán insisted. Its success was due to “the millions of Hungarians who believe in it,” he added. “To honour work, support families, retain national identity, preserve independence; this is the future and this future can be ours.” He paid tribute to the 700,000 people who support their families, not through benefits, but through their own work. 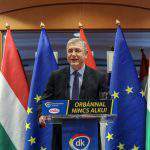 He also lauded Hungarian firms that create jobs and a new generation of young people who are forming families. The prime minister said a key result of the past eight years was that financial vulnerability was now a thing of the past. “Families are no longer paying for the profits of multinationals through their household bills,” he said. Orbán also insisted that the era of energy dependence was also a thing of the past, given that soon natural gas would not only come from Russia but from Romania and Poland, too. Orban noted that over 50 percent of the Hungarian banking sector was now “in the hands of the nation” and this was also true of the media. He added that there would be no national independence without a Hungarian banking system and media. “Don’t forget that the country’s fate should never be handed over to internationalists,” he said. 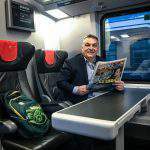 “Here in Budapest, we say what we think and do as we say,” Orbán said, adding that this was a great luxury in today’s European political climate. Addressing the 30 years of the Fidesz party, he emphasised the party’s “anti-communism and patriotism”. 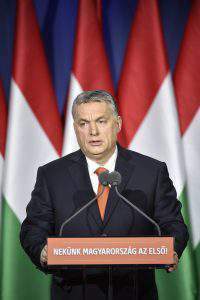 Speaking behind a lectern carrying the slogan “Hungary comes first”, the prime minister spoke about “the dispute between western and central Europe”, insisting that western Europe and become a zone of immigration and mixed populations, while central Europe was moving in the direction of a new future of development in various ways. In the 50 minute speech, the prime minister spoke of Hungary’s role as a bastion against migration, praising the “exemplary performance of the Hungarian police force” and the double border fence which “has successfully protected the country’s southern border”. 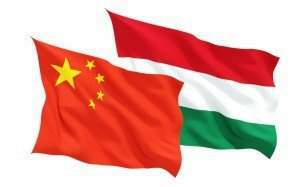 “It’s fashionable these days to say that Hungary should be similar to them out of solidarity … so let’s make it clear: Hungary stands in solidarity with those western Europeans and their leaders who want to save their countries and their Christian culture,” Orbán said. “We think that Christianity is Europe’s last hope,” he said. 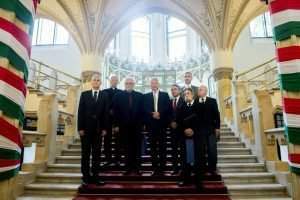 Orbán said the Visegrad Group was stable and that Austria had recently “turned towards patriotic, Christian policies”. He added that Germany’s CSU and Italy’s Forza Italia were symbols of “common sense and national and cultural confidence”. Meanwhile, he accused leftist politicians of trying and failing to do harm to Hungary. 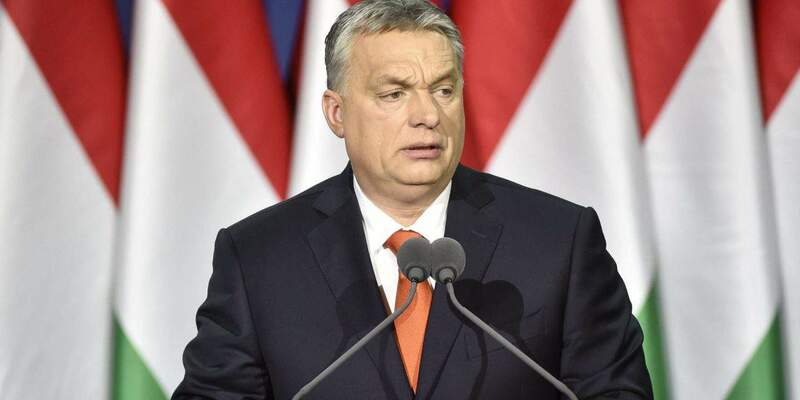 He listed former Austrian chancellors Werner Faymann and Christian Kern, former Italian PM Matteo Renzi and former Croatian PM Zoran Milanovic, as well as Germany’s Martin Schulz as examples of people who had attacked the Hungarian government but who had got nowhere. If there is a need, we will introduce stronger and stronger weapons of the law” to combat the “Soros plan”, Orbán said. The prime minister said the “Stop Soros” bill was the first step. Accordingly, he noted that anyone preoccupied with migration and migrants would have to apply for a national security licence to carry out their activities and the government would redirect a portion of foreign donations for “migrant-friendly NGOs” towards border protection. 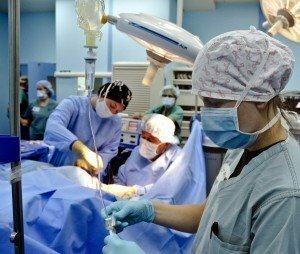 Further, the NGOs would have to be transparent about their finances and those “who fail to abort their dangerous plans will be banned, however powerful or rich they may be”. 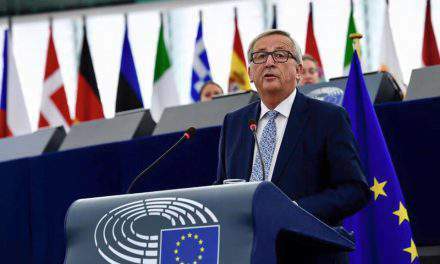 “We will also fight in the international arena,” he said, adding that on Monday he will hand over to the holder of the rotating European Council presidency a European legislative proposal for ensuring the “airtight protection” of Europe’s borders. “The most important thing is protecting the borders and not the [EU] quota scheme. If we seal the borders, nobody can come in without permission and there will be no one to relocate,” Orbán said, adding that whoever “allows migrants into their country can keep them and take care of them”. Orban also pledged to fight against the “Soros plan” in Brussels and the United Nations. 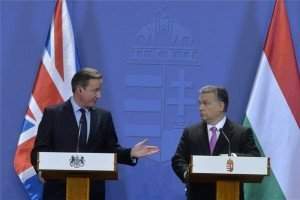 The UN “has got it in their heads” to complete an international compact on migration by the end of the year, Orban said. The document would say that migration “and organising migration” is beneficial to economic growth and welfare, he said. “Soros and his network has nestled not only in Brussels and Budapest but also in New York, at the UN. 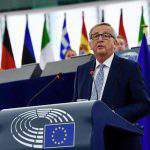 They put enormous amounts of money into promoting migration on a global scale,” Orban said.